FALL BOGO offer: Book today for travel starting September 3, 2018. 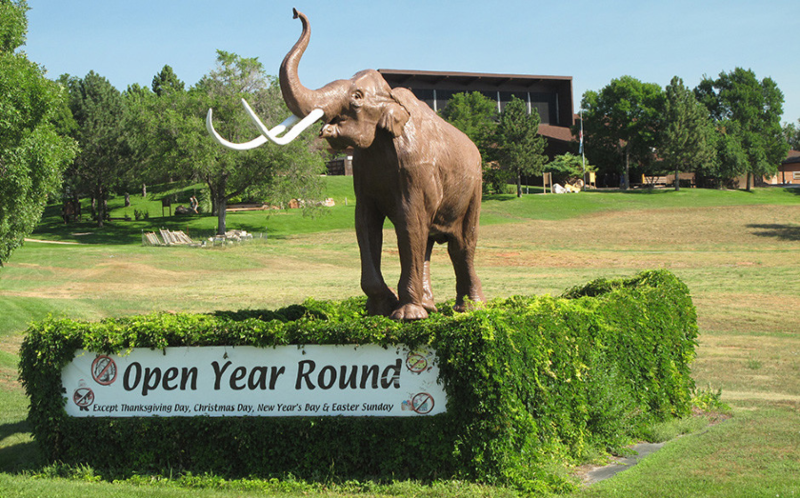 The world's largest mammoth research facility located in Hot Springs, South Dakota is a working paleontological site/museum that contains the largest concentration of Columbian and woolly mammoths ever found in their primary context (where they died). To date 61 mammoths (58 Columbian and 3 woolly) have been discovered as well as 85 other species of animals, plants, and several unidentified insects. Paid admission to the Mammoth Site is required for ages 4 and older. 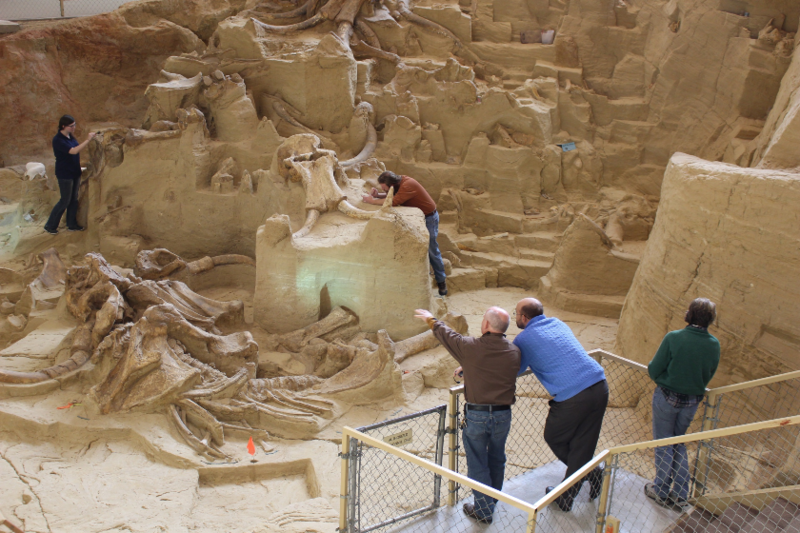 Paid admission to the Mammoth Site includes a 30 minute guided tour around the actual bone bed. Visitors may also roam through the Exhibit Hall and view the Laboratory where the fossils are prepared. For an additional fee, visitors (ages 4 and older) can also participate in Ice-Age hands on educational programs June 1-Aug 15. A guardian must accompany children ages 16 and under to educational programs and are required to purchase admission to the Mammoth Site. Junior Paleontologist Excavations designed for ages 4-12 and allows up to 16 children to become a Junior Paleontologist while they dig for fossil replicas. This one hour class is available June 1-August 15 for $12.00. Sessions are 10am, 11am, 2pm and 3pm daily June and July. 11am only August 1-15th. .
Advanced Paleontological Excavation is for ages 10 and older and allows 16 participants to learn proper excavation techniques, bone identification and how to map and jacket a bone. A guardian is required to stay with participants 16 yrs. and younger. This two hour program is available June 1-August 15th for $20.00. Atlatl Throwing Experience is for ages 5 and older and allows 20 participants to learn an ancient paleo Indian hunting technique. They are taught the history, types and techniques of the atlatl, and practice throwing the atlatl. A guardian required to stay with participants 16 yrs. and younger. This one hour class is available June 1- July 31st for $10. Mammoth Site is open daily year round. March 1 - May 14 9am-5pm. Last tour of the day is 1 hr. before closing time. Educational programs operate June 1 - August 15. Booking Instructions: Admission to the Mammoth Site is required for ages 4 and older. Educational programs require tour admission plus the educational fee. 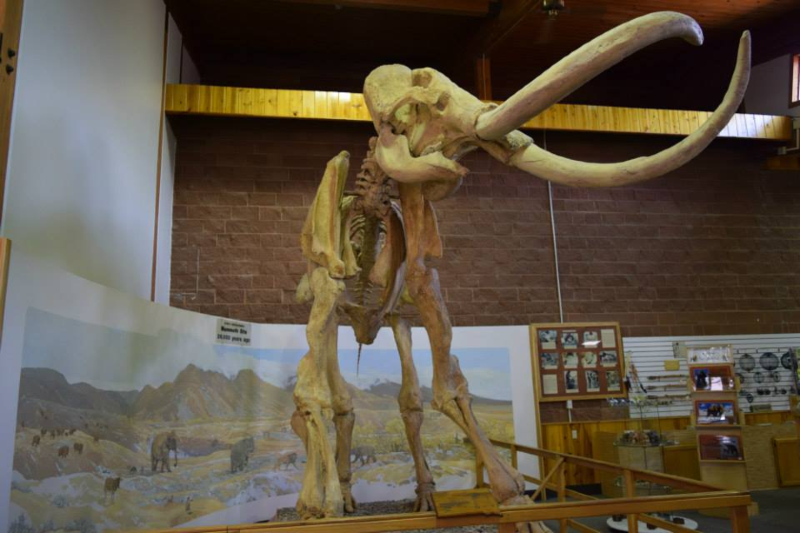 Fee for educational programs do not include admission to the Mammoth Site and must be booked separately. To book your educational programs, book the admission to the Mammoth Site first and then select your educational program. A Guardian must accompany children ages 16 and younger to an educational program and must pay admission to the Mammoth Site. *Please note: All children ages 16 and under must be under adult supervision at all times while visiting the Mammoth Site. Educational fee is not required for guardian when accompanying child. Please select the appropriate number of individuals for each activity option. Education programs are limited and must be booked in advance.